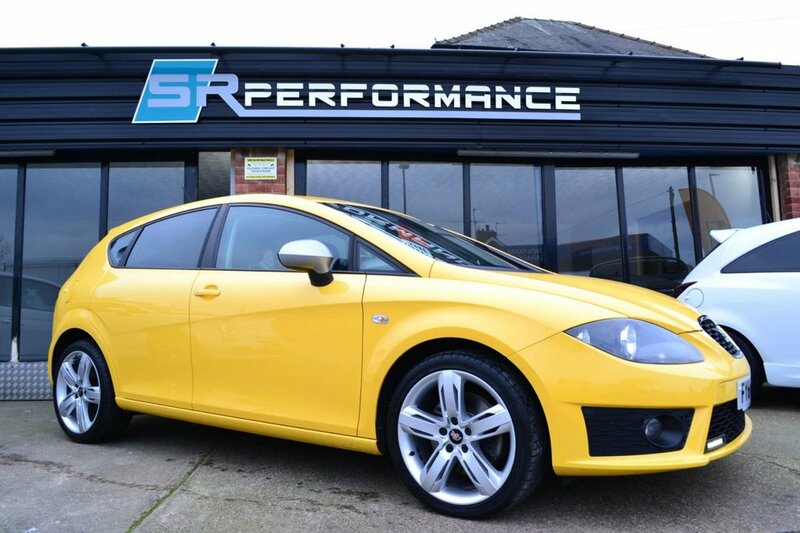 SR Performance are proud to offer this outstanding 2011 Seat Leon FR finished in the RARE Amarillo Crono Yellow. In immaculate condition with only 1 owner from new this vehicle has been very well looked after throughout its life. Supplied new by Westgate SEAT on 08/09/11 & having its first service by Stoneacre SEAT at 9K followed by 28K, 47K, 66K, 82K, 85K giving the car FULL service history with the Timing belt & Water pump being replaced at 66K. This vehicle comes with 2 keys, 12 months MOT, FREE 6 months COMPREHENSIVE warranty covering 1000's of parts, 6 months RAC breakdown cover (upgrades are available). At SR Performance we stock a superb range of used cars, we are a family run business, established here in Mansfield for over 5 years. With options to suit every budget. Our team is here to help. We offer the best selection of used cars for sale in Mansfield and we'll always go the extra mile to ensure you find the right vehicle to suit your needs. All our vehicles have a pre-sale inspection and a professional valet which is specialised and takes time. Our cars are HPi checked to ensure there is no accident history and most importantly we check mileages for authenticity. Debit or credit cards are accepted and we offer finance subject to status and approval. CALL STEVE OR RYAN ON 07791005559 OR 07970409566 TO BOOK A VIEWING & TEST DRIVE NOW.